Osi Umenyiora doesn’t like the Eagles any more than he has for the rest of his career. But the Giants defensive end said he has a new respect for the organization. “It’s hard for me to say this, but I’m proud of that franchise,” Umenyiora said Friday, a day after the Eagles signed Michael Vick. “That was a big step they took. A lot of people didn’t have the — what’s the word, cojones? — to make a move like that. But they did. “As much as I hate to say this because I’ve been bred to hate that franchise, I’m happy for them and I think they did a good thing,” he added. 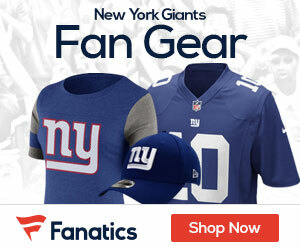 The Giants’ reaction to the arrival of Vick in their division was one of concern and happiness. Many players were grateful that Vick was given another chance to play in the NFL. But they were also weary of what he’ll mean to the Eagles offense. The Giants will get a good look at it. They don’t play the Eagles until Week 8 of the season (Nov. 1 at Philadelphia) and then again on Dec. 13 at Giants Stadium. By that point it should be more clear how the Eagles will use Vick. Most figure it to be as part of a Wildcat scheme. The Eagles dabbled in that last year and even scored a touchdown against the Giants when receiver DeSean Jackson lined up for a direct snap and ran it in from the 9. Not everyone was so impressed. Umenyiora applauded the signing, but he’s not worried about how it might disrupt balance in the NFC East.